By-catch deaths of five Hector’s dolphins in fishing nets off the Canterbury coast has prompted an order to fast-track work on a new protection plan for the nationally endangered species. The dolphins were trapped in a commercial set net about six nautical miles north of Banks Peninsula on February 17, and their deaths were reported to Fisheries Inshore New Zealand (FINZ), and to the Ministry for Primary Industries (MPI). There were an estimated 9000 Hector’s dolphins off the South Island’s east coast, and these were a sub-group of the wider South Island population of 15,000 mammals. Fisheries officials believe the east coast population may be declining. Hector’s dolphins live close to the coast, making them highly vulnerable to being caught in set nets. Official records show 188 Hector’s and Maui dolphin are known to have been killed in set nets since 1973, although potential Hector’s dolphin captures could range between 19 and 78 each year. Fisheries Minister Stuart Nash and Conservation Minister Eugenie Sage have now pointed out areas where more work needs to be done and have asked whether changes can be made to some fishing practices in the short-term. Options included prioritising the development of a new Threat Management Plan (TMP) for Maui and Hector’s dolphins, reviewing the use of set nets in a bid to reduce or phase out their use, and considering extending the ban on set nets in the Banks Peninsula Marine Mammal Sanctuary further offshore. Other potential measures included encouraging voluntary closures of certain fisheries to set nets, such as those recently put in place by commercial set netters to protect the yellow-eyed penguin off Southland, and reviewing the role of observers and camera coverage on fishing boats. Nash said the fisherman did the right thing by coming forward to report the catch, as legally required. FINZ chief executive Dr Jeremy Helson had since told him that the fisherman “deeply regrets” the capture and had now decided to stop set netting in the area, Nash said. Nash and Sage are overseeing a review of the TMP, in place since 2008, which will consider longer-term measures to better protect the dolphins from the risks of set netting and deaths caused by other human activity. “In light of this capture, I have asked officials to prioritise the development of a new plan,” Nash said. Sage said the “needless” deaths of five dolphins in one set net underlined an ongoing problem of set net use in places where highly endangered species, like Hector’s and Maui dolphins live, “and the indiscriminate nature of set nets as a fishing method”. As well as Hector’s and Maui dolphins, set nets caught and drowned seabirds such as yellow-eyed penguin, little blue and Fiordland crested penguins, shags, shearwaters and terns. “Areas around Banks Peninsula and on the North Island’s West Coast have been closed to set nets to protect Hector’s and Maui dolphins, but dolphins and seabirds continue to get caught and die in set nets,” Sage said. Sage believed New Zealand could follow the example of American states such as California and North Carolina, which have banned commercial set nets to protect endangered seabirds, marine mammals and turtles. In a media statement today, Helson reaffirmed the industry regretted the incident. FINZ had “moved quickly” to suggest that MPI bring forward the review of the Hector’s dolphin threat management plan, along with measures that will help to prevent such an incident happening again, Helson said. 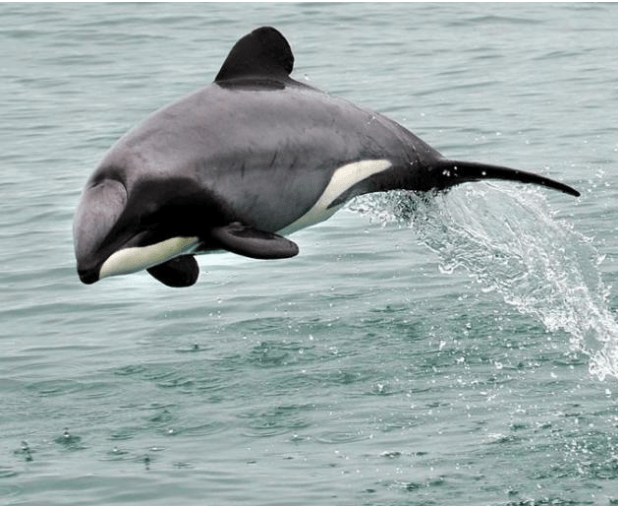 Helson noted in a letter to Nash that MPI had estimated more than 95 Hector’s dolphin mortalities would need to occur annually before the species’ long-term viability would be at risk.